So, it’s time to plan your nursery! I remember how excited I was to plan my daughter’s nursery. We went with a hodge-podge of colors as it was inspired by a family quilt. The basics that you’ll want to be sure to have in your nursery are a dresser, a rocker, a bouncer, diaper changing storage, a sound machine, a baby monitor and of course, a crib. 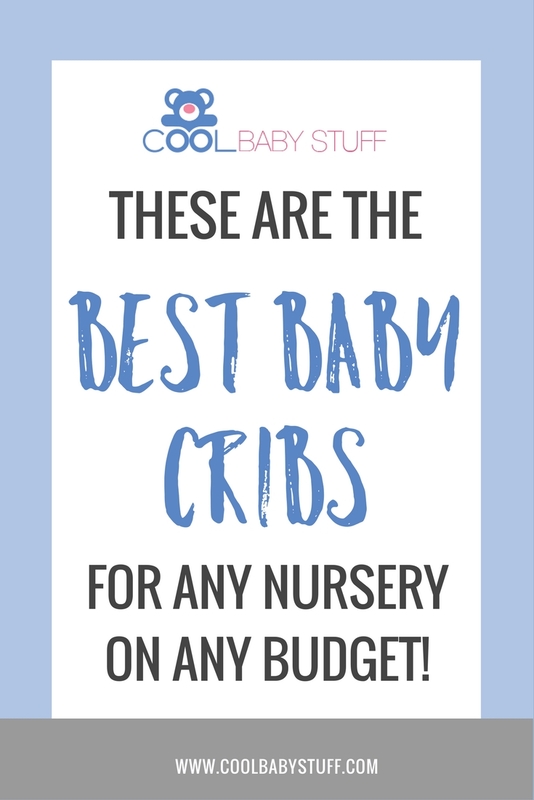 Today, I want to share my top choices for best baby cribs for your nursery. 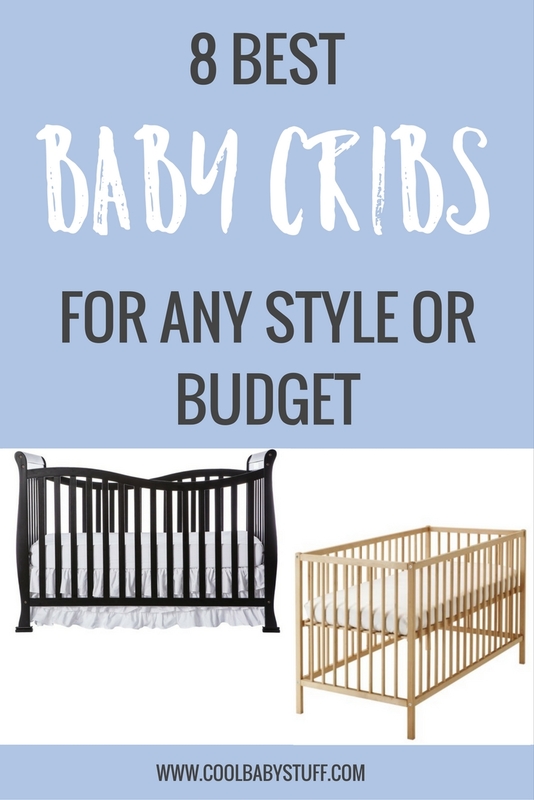 This list includes the best baby cribs for every budget, design and sleep situation so you’re bound to find one that will help you achieve the vision you have for your little one’s nursery. If you’re looking for the best baby products, here are the best baby video monitors according to parents. When we started planning our daughter’s nursery, we knew that we wanted something durable, easy to assemble, unstained/ unfinished, and affordable. If that’s what you’re looking for too, this is one of the best baby cribs for you. This Sniglar crib delivered on all four, is now being used by our second and still has a lot of life. Because the Sniglar crib is unfinished, you can paint or stain it whatever your heart’s desire making it the perfect pick for any color scheme. This crib also has two mattress heights and changes into toddler bed, so it can grow with your kiddo. The Arm’s Reach Co-Sleeper is technically a crib alternative. The Co-Sleeper attaches to the side of your bed to that you can sleep close to baby and respond quickly when they cry.The Co-Sleeper has one side that lowers to your mattress level so that you can easily place a hand on baby’s back. It attaches securely with a strap to your mattress to assure that the open side of the Co-Sleeper stays snugly against your bed. It is never an eyesore because it comes in a neutral color. Tip: If you are interested in purchasing the Arms Reach Co-Sleeper, but it’s not in the budget, they can often be found gently used at children’s consignment shops near you. This mini crib is on my list because it is a great solution for multiples or small shared bedrooms. If you’re just looking for a smaller crib to pull into your room, or another room in your home, Delta’s Mini Crib wheels make it easy to move in and out of doorways as needed. Not only does this crib take up one third less the space of your traditional sized crib, but it also folds flat and is easy to travel with. Another perk of this mini crib is that it come with the mattress pad unlike most cribs where the mattress has to be purchased separately. The trade off with this crib choice is that the maximum weight is 35 pounds so you may find yourself shopping for another sleep solution in a year and a half or so. Land of Nod ALWAYS puts out excellent quality products with unique design elements and this crib is no exception. 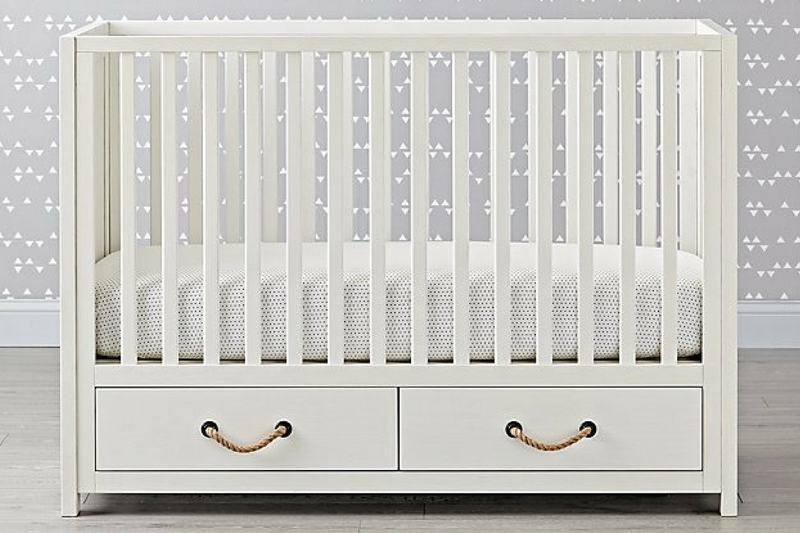 This White Glaze Crib is perfect for you if you’re looking for a crib solution for a small nursery because it includes two built in drawers for storage beneath the crib. This crib is easy to assemble, comes with three adjustable mattress heights and can easily be converted into a toddler bed. This Dream on Me Violet Convertible Crib is on my list because of its versatility. The Lifestyle can be used as a crib, twin size toddler bed (with two setup options), daybed, and full size bed making it the first and last bed frame you will have to buy for your little one. Now that’s longevity! If you wish to use this crib in all of these variations the toddler guard rail, stabilizer and full size rail are sold separately and can be purchased as needed. Unlike many other cribs, the Dream on Me Lifestyle crib has a whopping six different height adjustments so that you can easily move your child in and out safely.